My picks this time are inspired by my affinity for the sophistication of black and white. 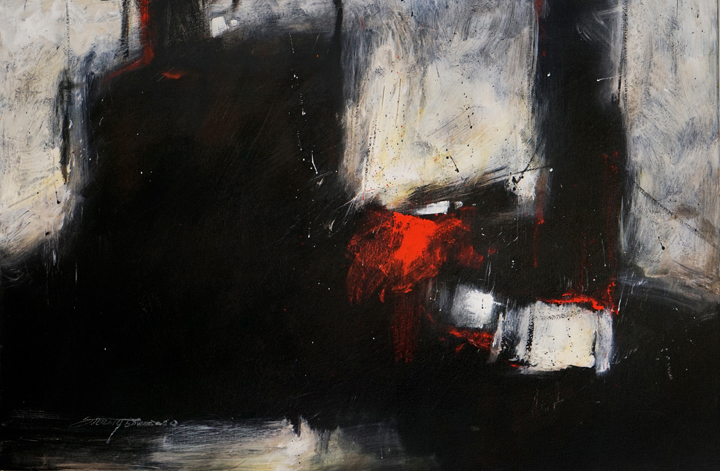 Foundry by Sterling Edwards shows bold black and white strokes that give strength to the painting. The style of this piece can be at home in traditional or contemporary decor.